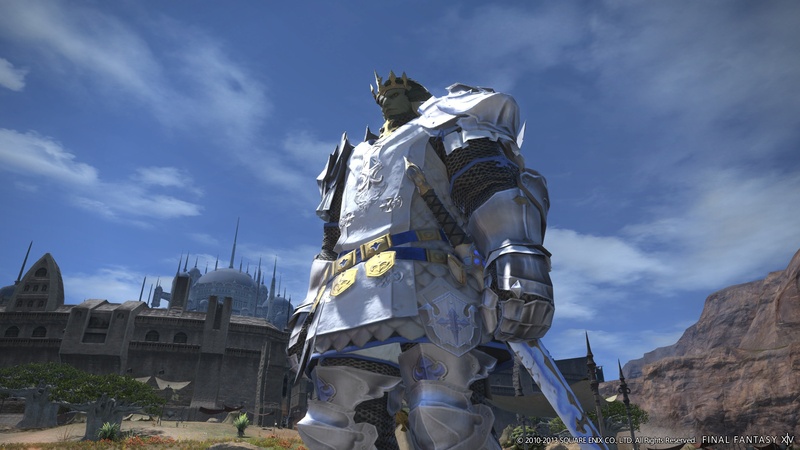 One of Square-Enix's new features in ARR is the FATE (Full Active Time Event) system. 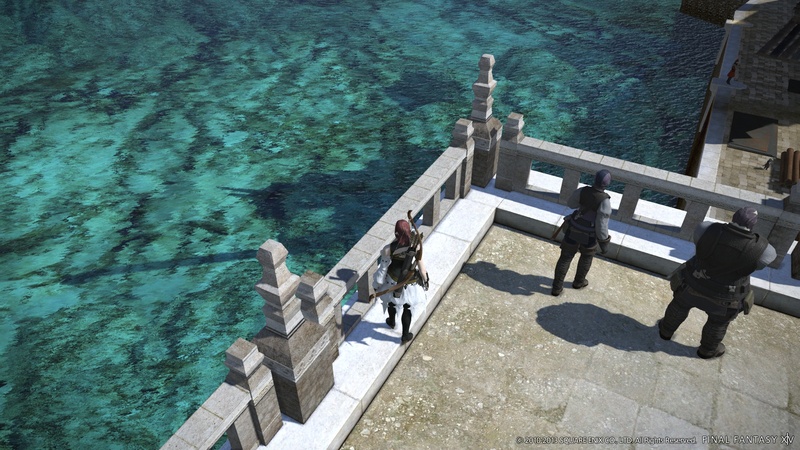 It's a spontaneous world event that pops up as you quest, and anyone in the surrounding area can participate (regardless of group status) and get loot/exp for it. The first FATE we encountered was in the starting area, and was a small kerfuffle between duelists. Later on, as we roamed the lands with a level 35 Archer, we happened across a FATE involving monsters ... lots of monsters. 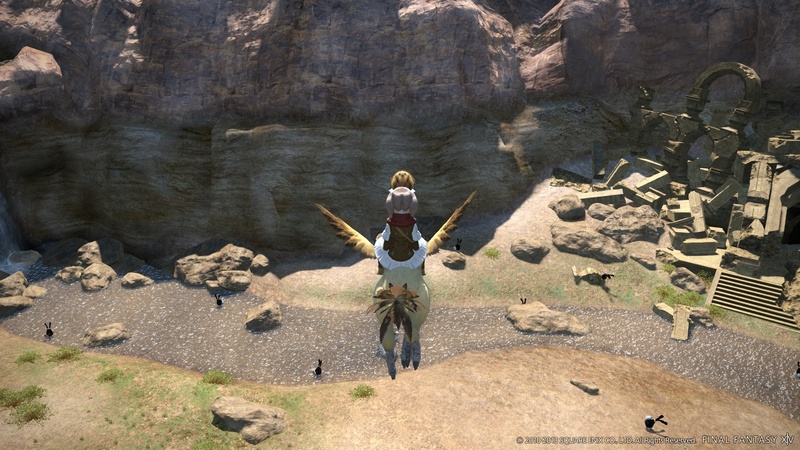 Of course, that prompted me to ask Yoshida if we'd be seeing a mammoth Cactuar in a FATE, which elicited a big laugh as he responded, "They have few polygons, so it would be easy to make!" 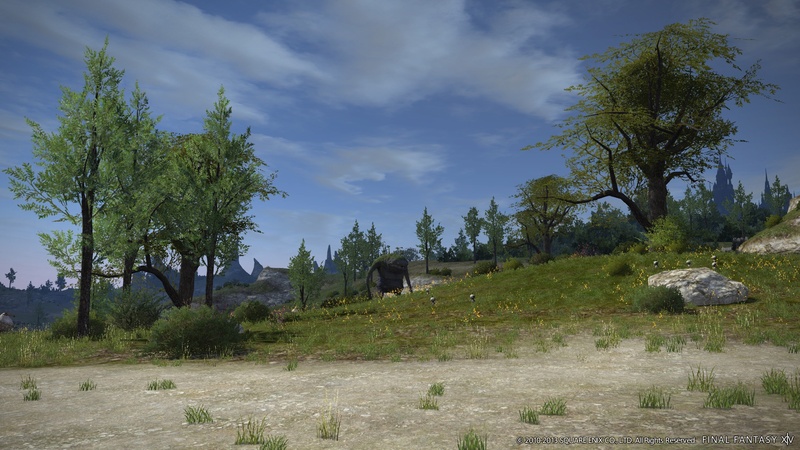 As for cross-server play, you'll be happy to hear that ARR will support cross-platform accounts - whoa! 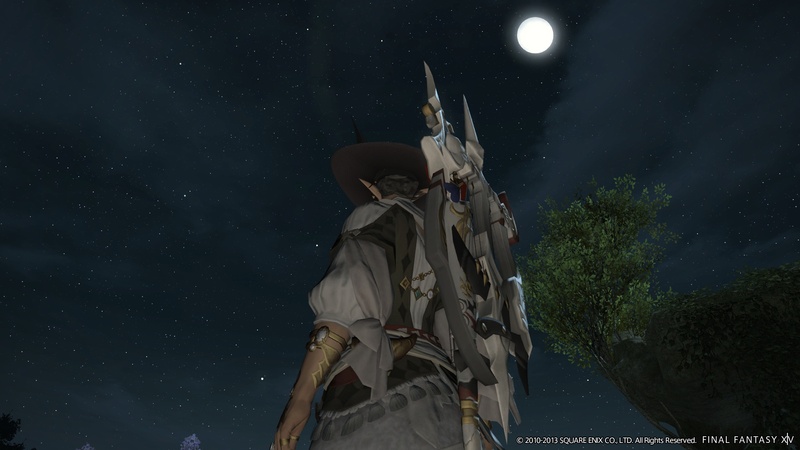 - so if you've got a hankering to laze around on the couch with your Lancer after a long day of questing, you'll be able to do so if you have both the PC and PS3 versions. This also means you won't have to feel locked into a platform if your friends are die-hard about either console or PC play, as you'll be able to play alongside them regardless of what system they're using to access the servers. 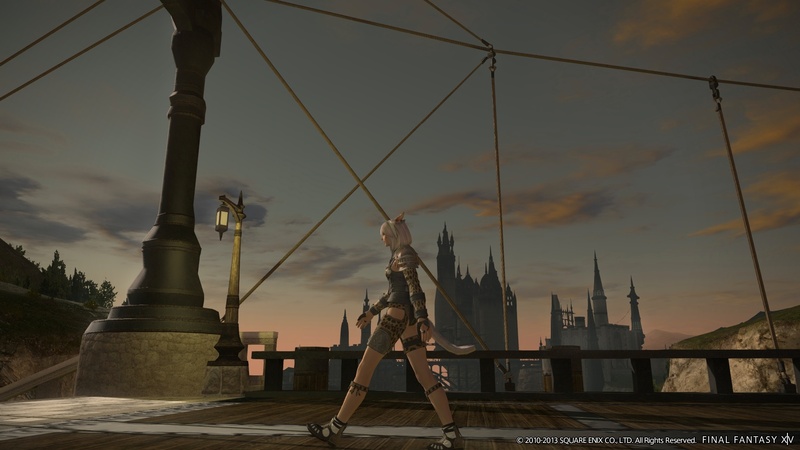 A Mac version is also in the works, but Yoshida insisted that because the 1.0 launch of FFXIV never made it to PS3, that those players deserved to have the game launch on day one with the PC version - a nice way of appreciating the console fans who waited years for this game, suffered delay after delay, then ended up disappointed it never found its way to their living rooms. 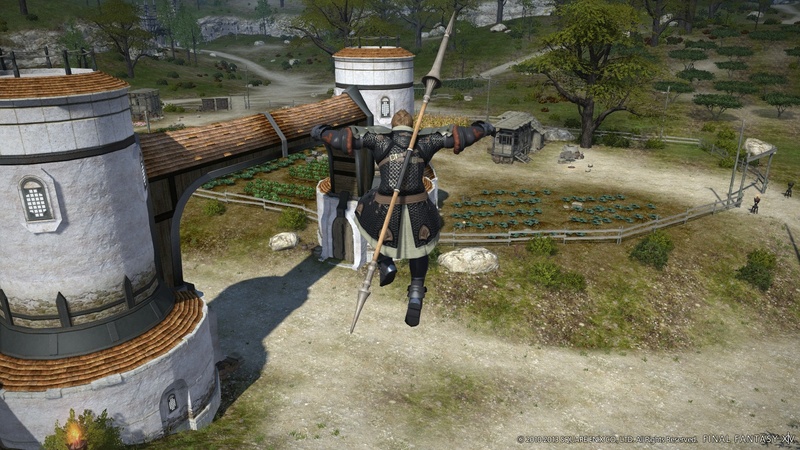 If you're one of the brave souls who purchased the original FFXIV, Square-Enix is planning to offer a variety of perks as thanks for getting into the game at ground zero: A special chocobo mount, a discounted monthly subscription fee, and a free download of A Realm Reborn were some of the items mentioned. It's not a magical "I win" button, but it's a nice gesture on the part of Square-Enix, and goes a long way to help patch things up with 1.0 players, many of whom left the franchise with a bad taste in their mouths. 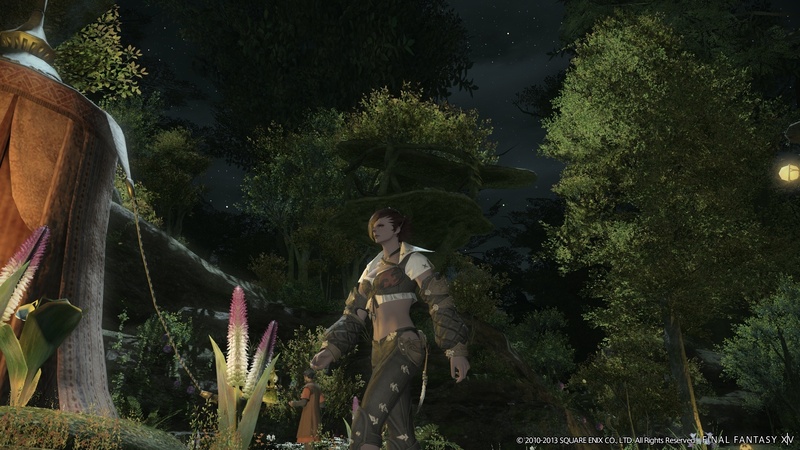 The short time I had with Final Fantasy XIV: A Realm Reborn offered some real glimmers of hope and redemption; I had a great time seeing familiar FF "faces" (Moogles, chocobos) as I ambled around. 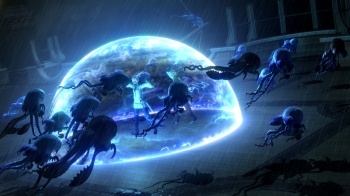 But whether ARR can truly capitalize on the vault of FF lore and create lightning in a bottle is a question that can only be answered by a solid launch, great content updates post-release, and a rabid fanbase. 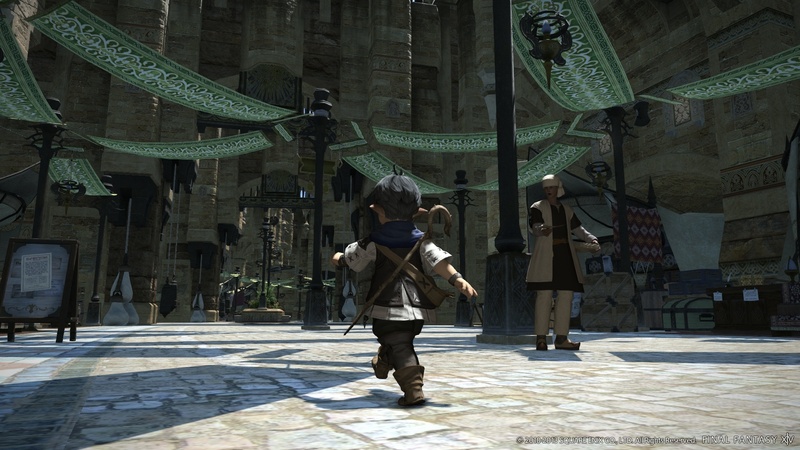 I'm cautiously optimistic Square-Enix is making the changes necessary to create the living, breathing Final Fantasy universe fans have been clamoring for, but as always (and especially with MMOs), only time will tell if ARR is a success. 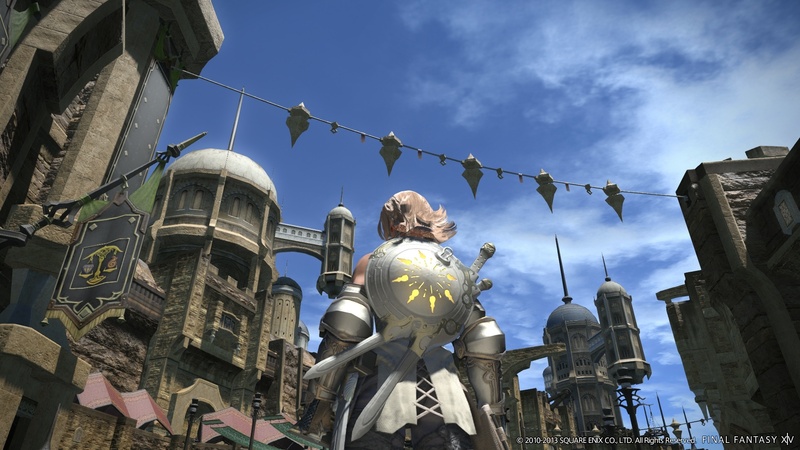 Final Fantasy XIV: A Realm Reborn will be available for PC and PS3 in Summer 2013, and will require a monthly subscription. There will be four phases of the beta, the first two will run on the PC before they start integrating the PS3 with phase 3 in a closed test. The first beta phase begins Monday, February 25th, 2013 on the PC and you can signup for it here now.